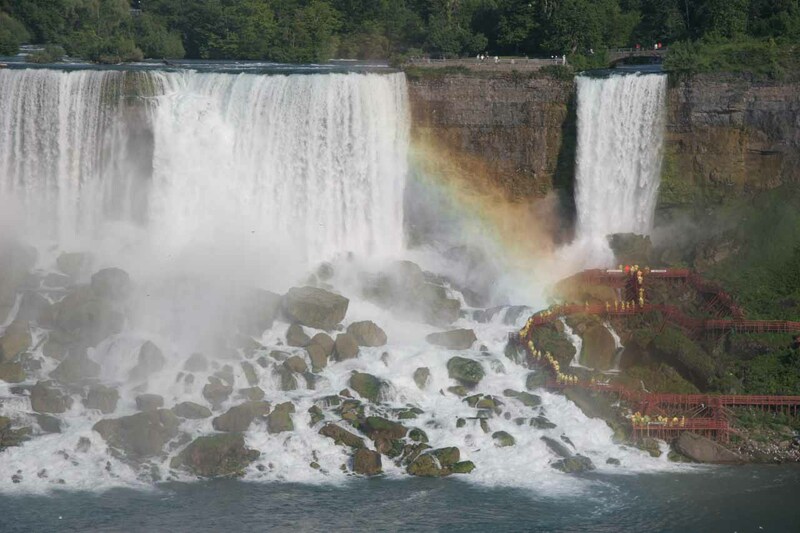 In our visits to Niagara Falls, we’ve found that we could get more out of our time spent here by doing more than just going on the walks alongside the Niagara River or staring at the falls from a room with a view. Specifically, we’ve gone on paid excursions that let us experience the falls in very different (often wetter and more interactive) ways. While I’m not the biggest fan of paid excursions to better experience natural attractions, in this case, it was probably wishful thinking to imagine a Niagara Falls that was more natural and involved hikes to experience various aspects of it. 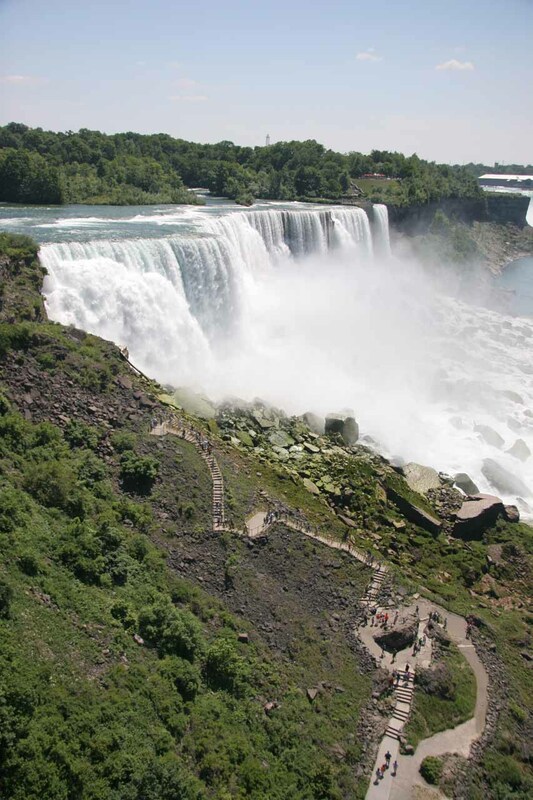 With its role in how hydroelectricity and industrialism propelled the United States into an economic power in the world, it was inevitable that there would be a lot of development in and around the falls. 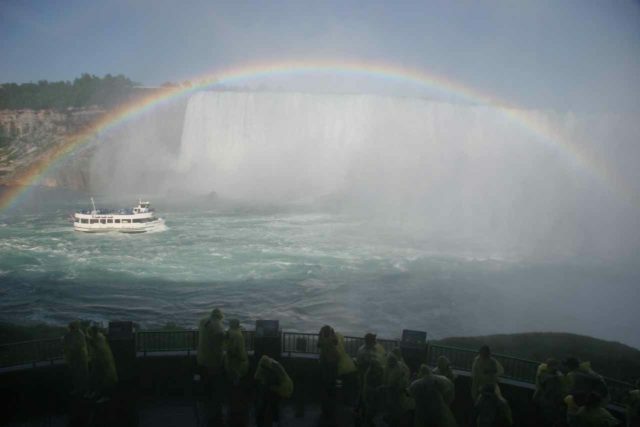 So, we had to just take the good with the bad and appreciate Niagara Falls for what it currently is – a very popular waterfall with an assortment of paid activities to extend the experience further. 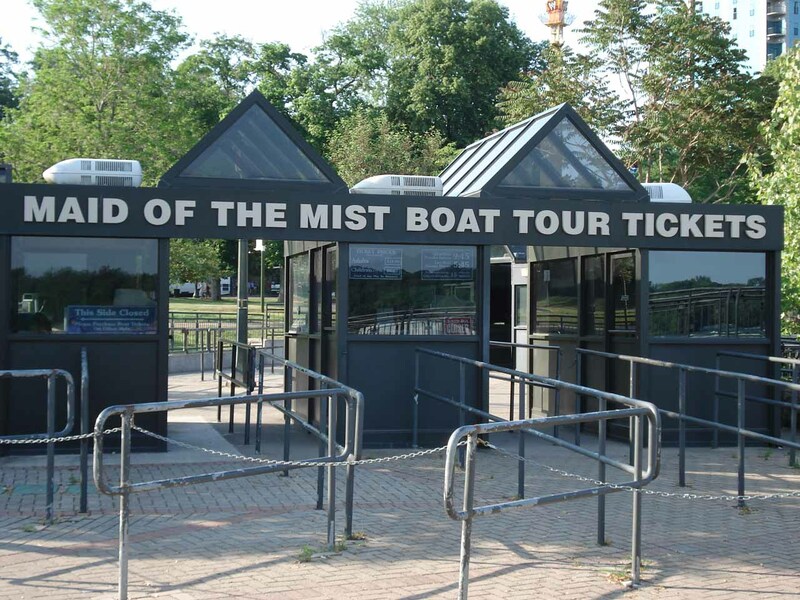 Below are some of the paid excursions that we’ve done. This was said to be the oldest running tour of Niagara Falls (dating back to 1846). I was (and probably still is) the most popular tour around the falls area. 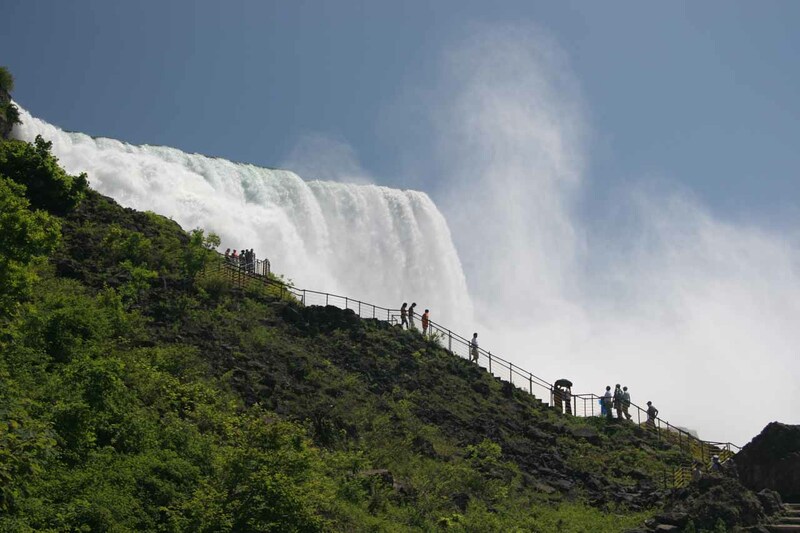 We noticed that both the American and Canadian sides offered this tour, but we did this tour on the American side, which also included access to the Observation Deck. 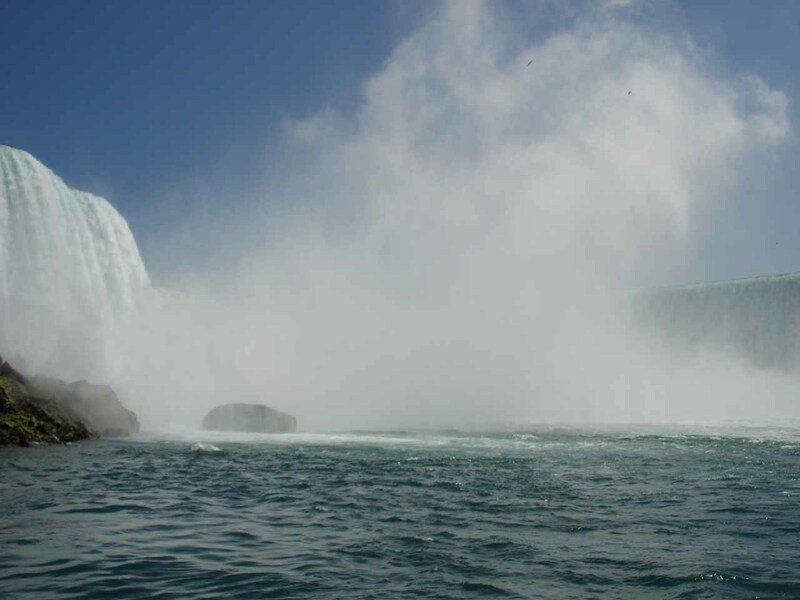 The Maid of the Mist was basically a tour where we were crowded into a large boat sharing the deck with other paying guests, and then the boat moved within the Niagara River upstream past the American Falls as well as some abandoned (or destroyed) buildings then into the three-sided misty torrent caused by the aptly-named Horseshoe Falls. 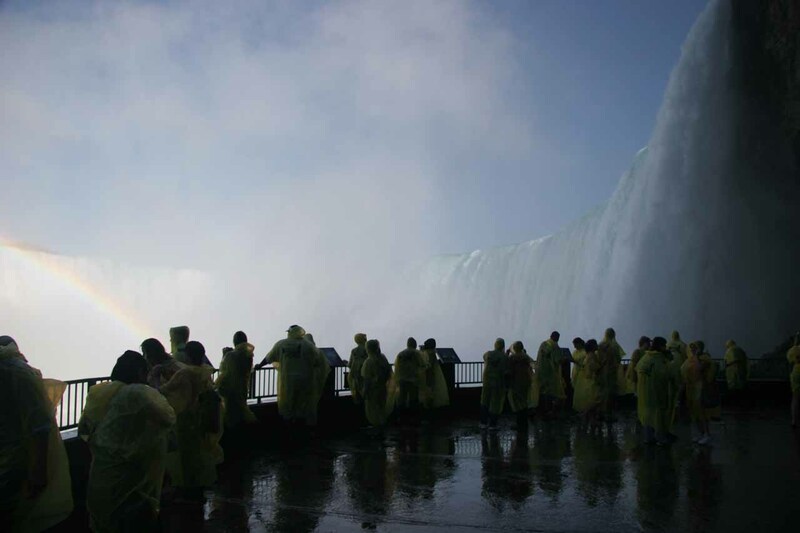 Prior to getting on the boat, we were provided with recyclable rain ponchos (included in the price of admission), and we definitely needed them (especially since I was carrying a DSLR camera which didn’t like water very much). 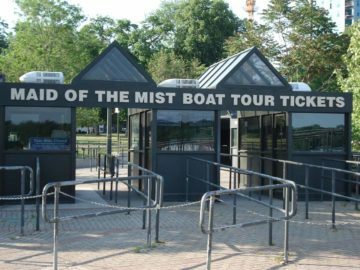 Within the boat, it was standing room only when we did this tour. So that made it difficult to move around if you wanted to reposition yourself for a better photo. There was also a multi-language audio narration over a loud speaker though I didn’t recall if it was easily heard over all the noise and commotion. After rotating within the misty torrent of Horseshoe Falls, the boat then returned back the way it came to conclude the tour. This exclusively American excursion took us down an elevator into the gorge area, where we then went onto a metal catwalk that led us right up to the base of the Bridal Veil Falls component of the Niagara Falls. I heard that the tour got its name from an alcove area that used to let you go behind the Bridal Veil Falls, which also happened to be very windy there. 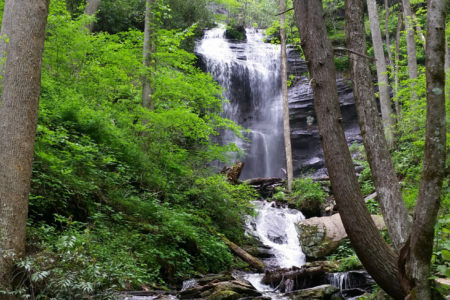 Unfortunately, that cave was closed due to concerns about falling rocks caused by the natural erosion from the force of the falls. 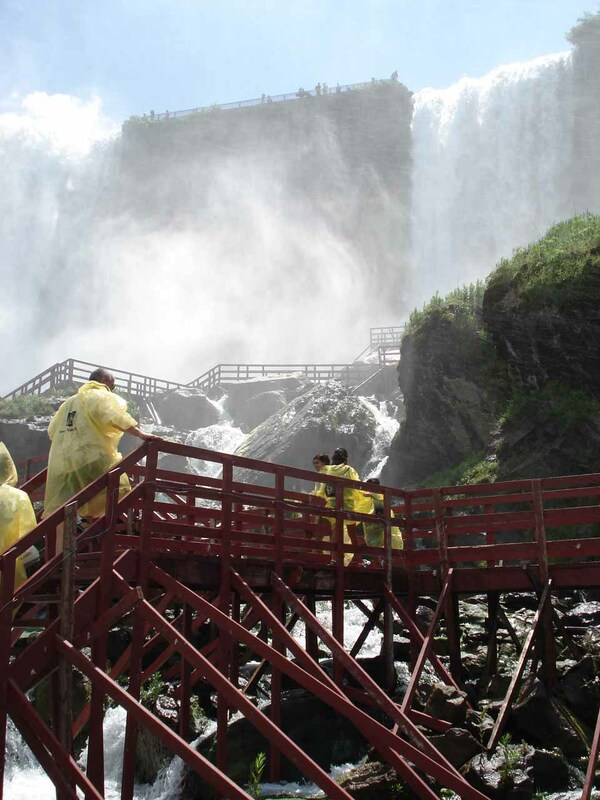 As part of the paid excursion, we were provided recyclable rain coats and foam sandals because we were definitely getting very wet from all the mist thrown up by both the American Falls and Bridal Veil Falls. 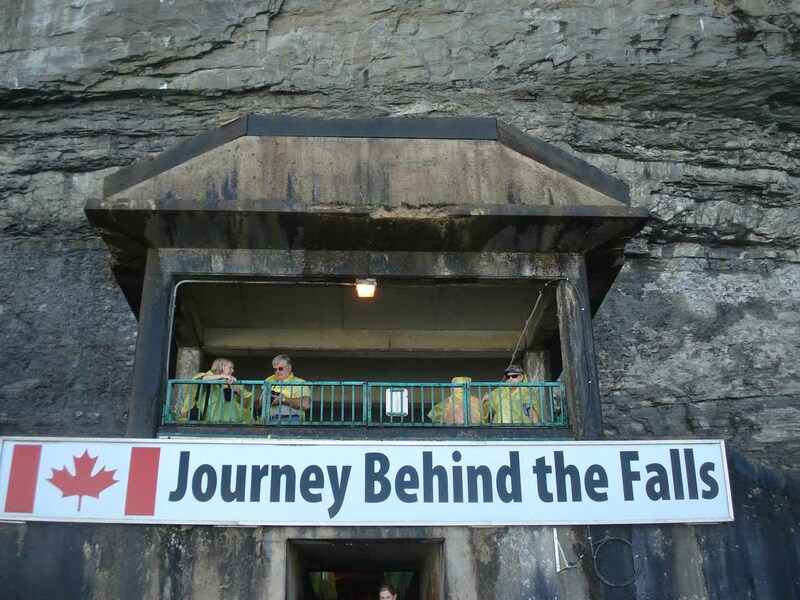 This exclusively Canadian excursion took us down an elevator into a tunnel area with interpretive signs discussing the history of Niagara Falls. 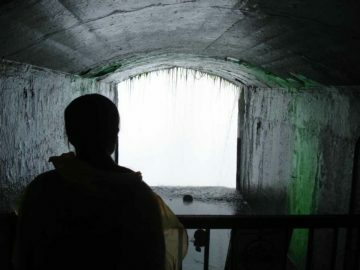 The tunnels led us to junctions where we could continue straight ahead towards a lower viewing deck right besides the mighty Horseshoe Falls or head deeper towards a pair of openings cut right behind the deafening roar of the waterfall. 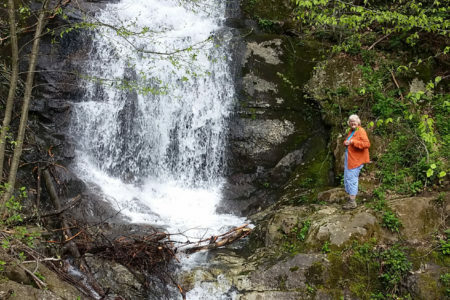 I swore the ground was trembling a bit from those openings attesting to the force of all that water crashing onto the earth beneath our feet. 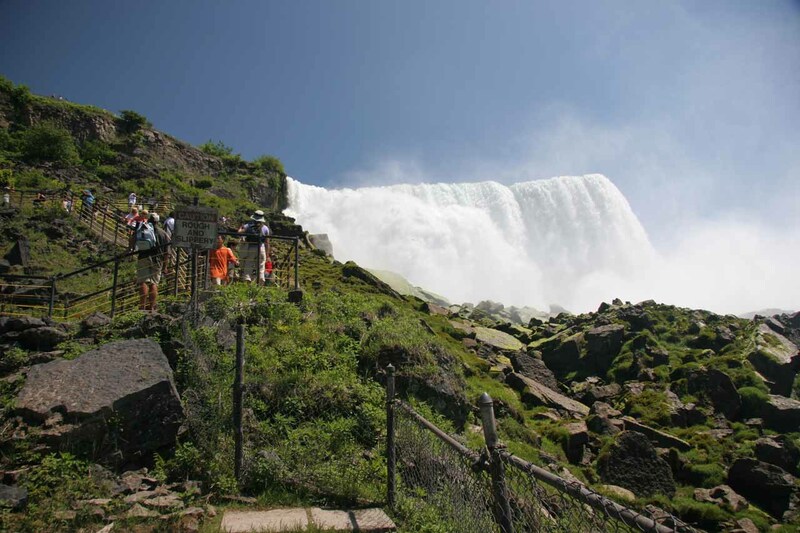 Fences were erected to keep us at a safe distance behind the turbulence of the Horseshoe Falls so it did get a little crowded as we each took turns getting our photos whilst sharing the attraction with other paying customers. Meanwhile, the lower viewing deck was also very misty and turbulent, and it was quite the rush to be so close to such a powerful waterfall. Unlike the tighter tunnels and openings behind the falls, there was a bit more room to move around and experience the power of the Horseshoe Falls from this viewing deck. This also seemed to be the ideal place to take photographs of the Maid of the Mist boats underneath a bright semi-circular afternoon rainbow. 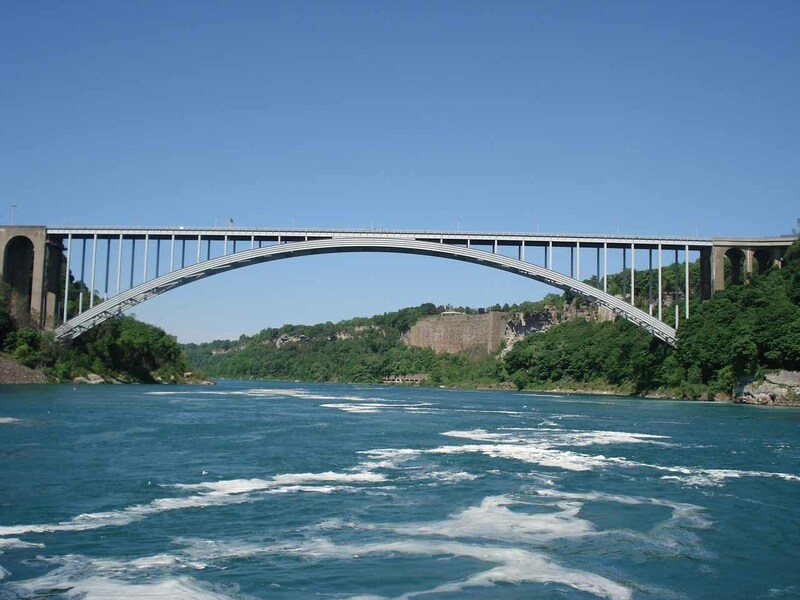 This exclusively American structure had a protruding viewing platform jutting out above part of the Niagara River. 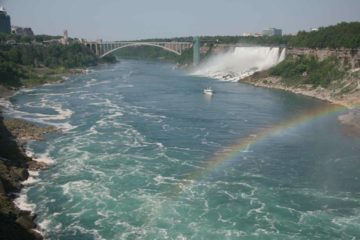 It was a little further upstream from the Rainbow Bridge spanning the US-Canadian border so I’d imagine the views would be somewhat similar from there versus this tower (except the tower wouldn’t be in the way since we were on instead of behind it). The fee to access this deck was included as part of our Maid of the Mist Tour on the American side. 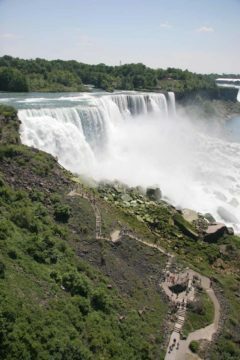 There was also access to a walk that brought us closer to the side of the American Falls. 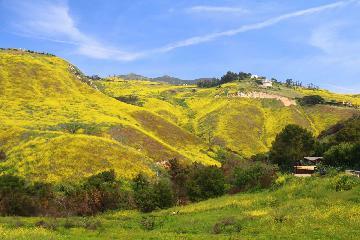 This was the same walk that you see in the bottom of the photo above. On the walk beneath the Observation Deck leading up to the side of the American Falls. 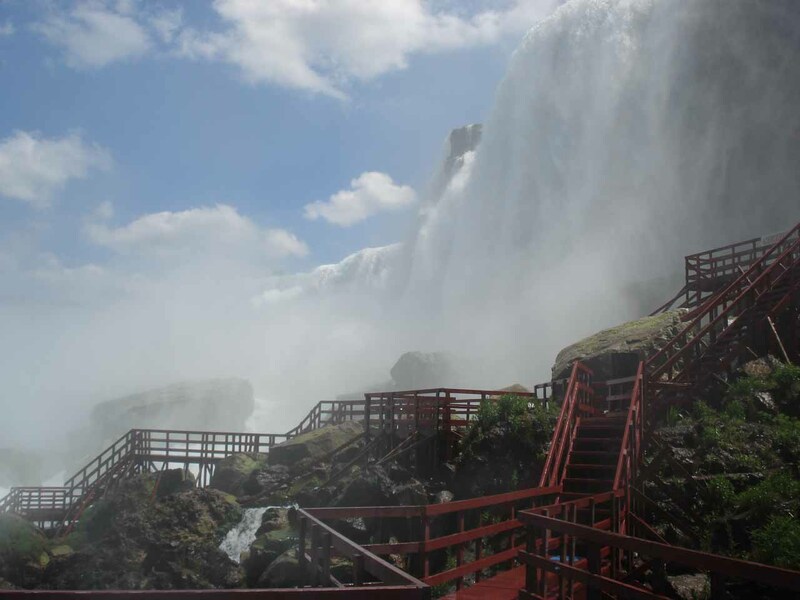 Looking back down at the walkway besides the American Falls from the paid part of the Observation Deck. 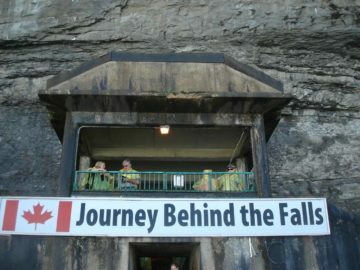 Niagara Parks Falls Incline Railway – Personally, I wouldn’t count this funicular ride as an excursion as it was more of a transport option to save on some walking to access the Niagara Falls walkways along the Niagara River. 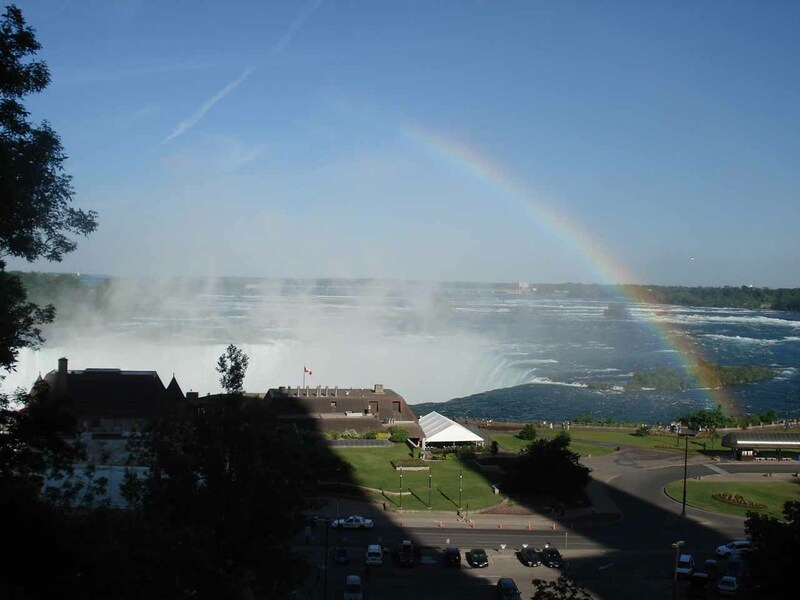 This is especially the case if you happened to be staying at the further upstream hotels like the Radisson, Marriott Fallsview, or Embassy Suites, among others. 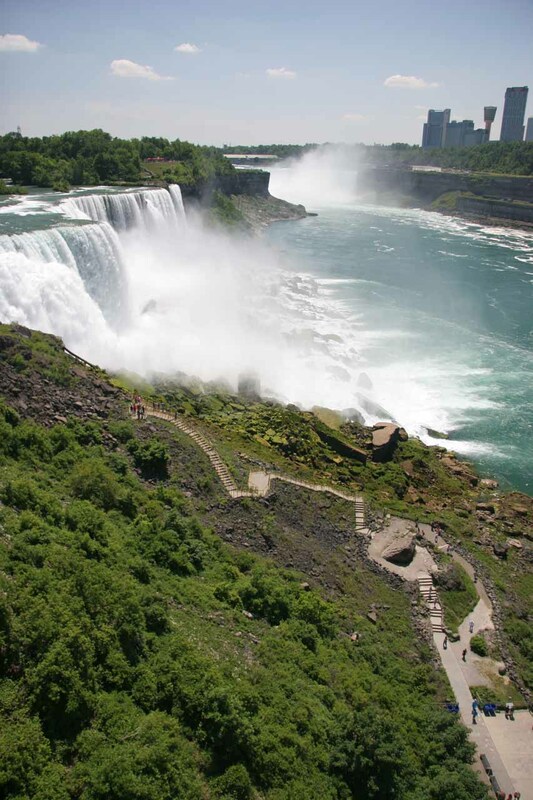 Helicopter Ride – This is not exactly the most environmentally friendly way to experience the Niagara Falls, but it does yield a birds eye view of the scene that you most certainly won’t get by any other means (including viewing the falls from one of the high rise hotels). 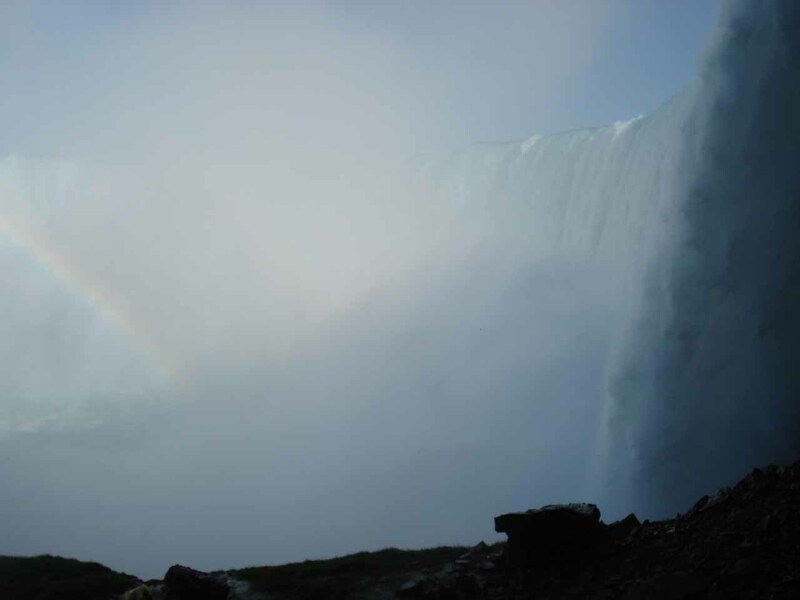 I’d imagine that from up in the sky, you’ll certainly understand why the Horseshoe Falls got its name as well as get a grasp of the scale and grandeur of the falls. 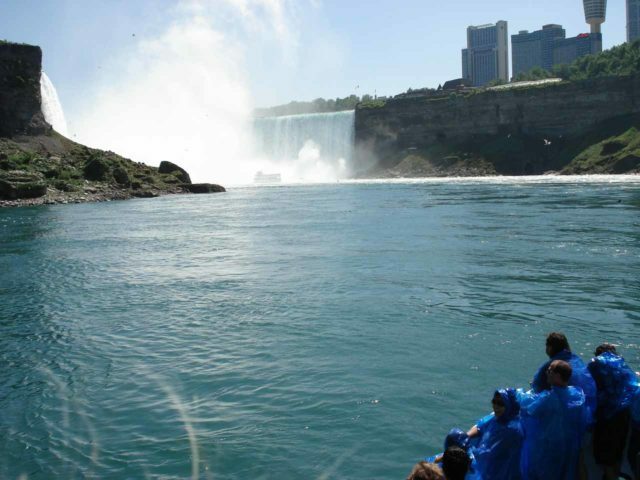 Jet Boat Tours – These types of tours go downstream from the main Niagara Falls area and into the turbulent Class V or greater rapids of the Lower Niagara Gorge. 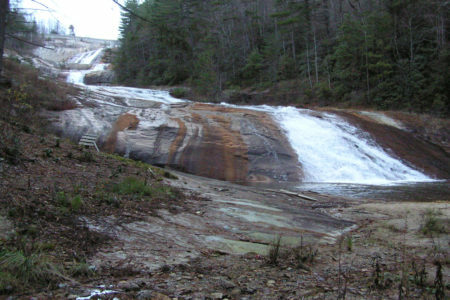 I’m sure the thrill-seekers and adrenaline junkies will appreciate the open-air rafts used on this excursion. 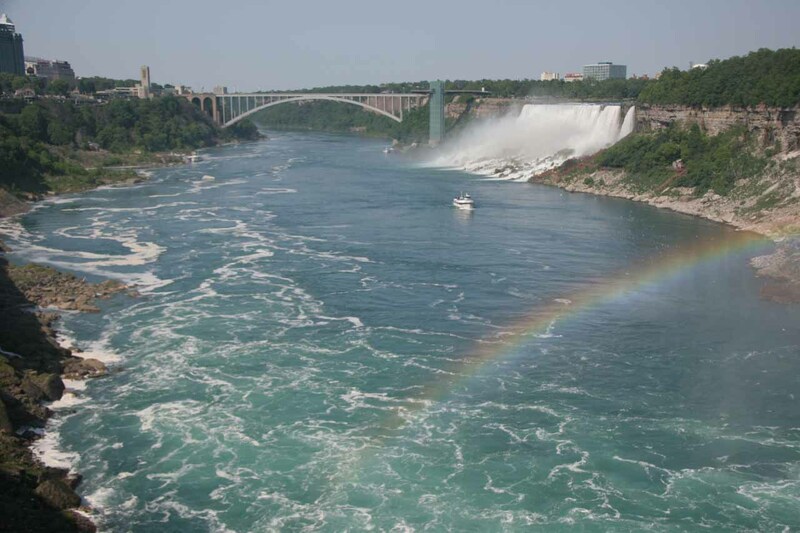 And while I’d imagine it would be difficult to pay attention to the surroundings due to the danger of the rapids, it would provide a glimpse of the less-visited Lower Niagara River area (including its geology). 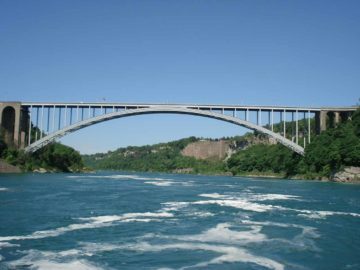 The Whirlpool Cable Car – The turbulence of the Niagara River and the geology of the Lower Niagara Gorge area combine to form a whirlpool. 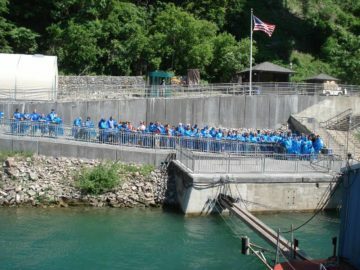 This excursion lets you ride a cable car suspended above the whirlpool down below for a very thrilling top-down view of it. 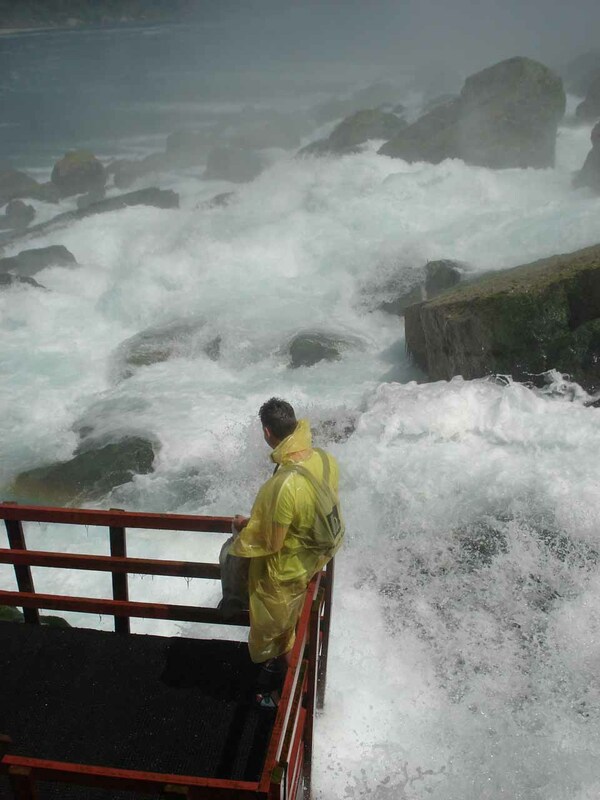 Given the precariousness of the suspension wire, this tour can be closed due to high winds (so I’d imagine earlier in the day would be best to minimize the likelihood of high winds). 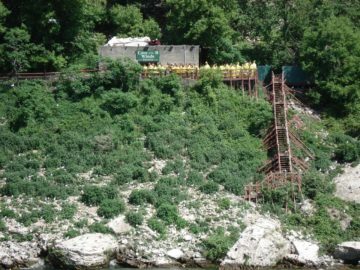 I’ve seen this excursion on Travel Channel shows so I’d imagine it could be one of the more popular ones that we didn’t get a chance to do so far.